With plenty of exciting launches constantly taking place across the Capital, we pick London’s best new restaurant openings taking place over the coming month. Aiming to introduce London to the flavours and culinary traditions that reflect Istanbul’s rich heritage as the meeting point of Asia and Europe, the team behind Yeni Lokanta will open a Soho restaurant next week. With the Istanbul restaurant having become a cult success, since opening in 2013, Cem Bilge and chef Civan Er will bring the original restaurant to London, taking particular inspiration from the famed Silk Road, drawing influence from the different ethnicities that unite on the streets of Civan’s hometown. On the menu at Yeni, dishes will include the likes of ‘zeytinyagli’ – an Aegean method where vegetables are braised in olive oil; aubergine filled manti with goats’ yoghurt; as well as fish and meat options such as traditional Antep sausages with borlotti bean puree; and line-caught bass with raki and feta. Yeni’s famed oven-roasted ribs with isot pepper on sourdough with cracked wheat, sour cherries and sumac molasses will also be available; plus octopus with ‘salty fingers’, prepared on the kitchen’s charcoal josper grill. Dessert, on the other hand, will feature kadajifi covered custard fritters and smoked buffalo milk ice cream; and salted caramel panna cotta with pumpkin. Yeni is set to open on Monday 4th February and can be found at 55 Beak Street, London, W1F 9SH. Taking over the former site of Galvin Bistro de Luxe, Ooty will mark the first restaurant venture from friends and entrepreneurs Pooja Nayak and Aseela Goenka. Named after a small town in the Indian state of Tamil Nadu, the fine dining restaurant will focus on the ingredients and cooking of southern India, with the kitchen headed up by Manmeet Singh Bali, formerly head chef at Rasoi and Vineet Bhatia London. Comprising three distinct spaces: an 80-cover restaurant; a colonial-style basement bar; and an all-day casual dining space and cocktail bar set to open later this year, the main restaurant will serve a seasonally changing a la carte menu. Here, dishes will include the likes of Tellicherry crab fry with coconut crab relish and tomato chutney; Keralan lime lobster with shellfish charu; and fennel lamb shoulder with pine nut and pickled baby shallots. A selection of vegetarian dishes such as almond and pea cake with crispy pepper asparagus, or fennel paneer will also be available. Ooty is set to open on Thursday 14th February and can be found at 66 Baker Street, London, W1U 7DJ. An exploration of Japanese and Italian cuisines, cultures and influences, Angelina will open in east London later this month. Celebrating fresh, indigenous ingredients and traditional techniques reimagined by Angelina’s chefs, the restaurant’s daily eight-plate sharing menu will feature dishes such as unagi (Japanese eel) risotto with burnt soy butter and dashi; or Cavolo Nero with tonkotsu, egg and keta caviar. Dessert will include the likes of black sesame and milk chocolate panna cotta. Moreover, inspired by Tokyo’s famous Shinjuku district, drinks will be served from Golden Gai – the restaurant’s hidden drinking den, with seats for just six people. On the drinks menu, high quality Japanese and Italian beverages will be celebrated, with various wines available alongside cocktails designed by owner Joshua Owens-Baigler. On the launch of Angelina, Josh said: “We want the Angelina experience to be fun, friendly and above all a social occasion. We like the surrealism associated with challenging and poking fun at the way we now eat. Saying this, we are respectful of technique and tradition, looking to add to grandmother’s recipe, not run away from it”. Angelina is set to open on Wednesday 20th February and can be found at 56 Dalston Lane, London, E8 3AH. Village Underground founder, Auro Foxcraft, and former St. JOHN executive chef, Chris Gillard, will open EartH Kitchen on Stoke Newington Road. 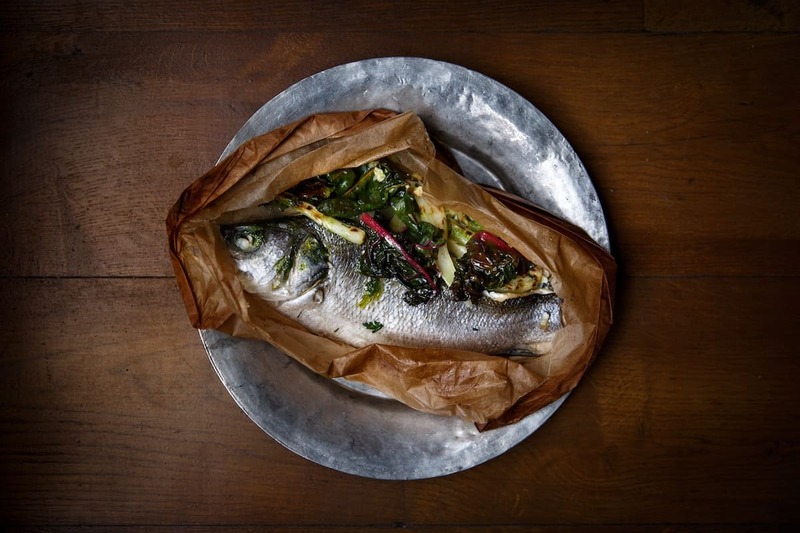 A neighbourhood-style restaurant within the new Evolutionary Arts Hackney multi-arts space, EartH Kitchen will have a prominent focus on sourcing the best available ingredients in line with the changing seasons. Simply-prepared plates for dinner will draw on the earthier flavours of autumn produce, including griddled mackerel, beetroot, leaves and horseradish; and pork and duck rillettes, cornichons and toast. 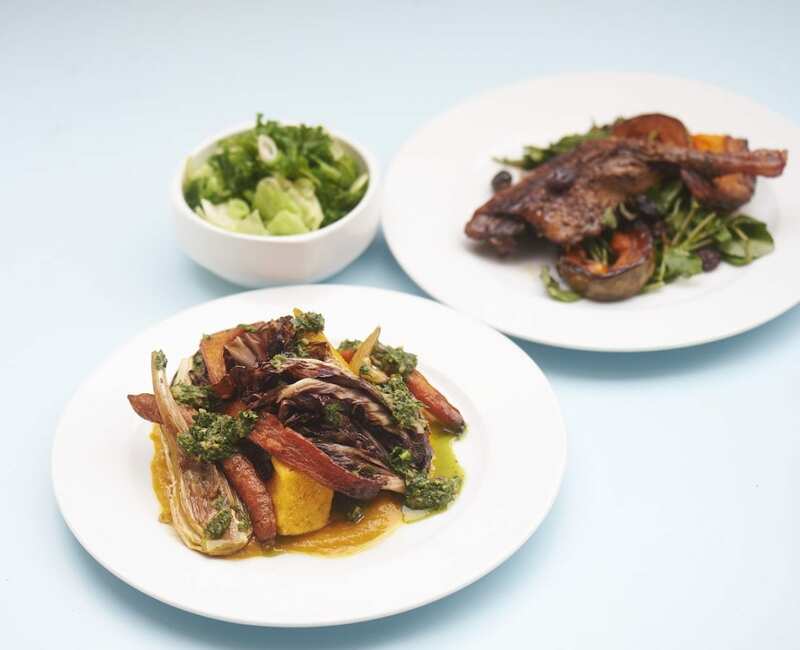 Elsewhere, griddled ox heart, chips and house ketchup will also be available; plus slow roast lamb breast with pickled raisins and mint; and vegan dishes such as crispy polenta, roast carrots, fennel, radicchio and salsa verde. Head chef Chris will also serve his own take on traditional puddings such as steamed ginger pudding, marmalade butterscotch and vanilla ice cream. The restaurant’s wine list will also carry a European focus, as well as featuring classic cocktails also utilising the best seasonal ingredients. EartH Kitchen is set to open on Monday 11th February and can be found at 11-17 Stoke Newington Road, London, N16 8BH.